The bike is currently on the smallest sprocket and smallest chainring (smallest rings by pedals and rear wheels incase my terminology is wrong). Rear wheel is currently not centered. The derailleur was properly adjusted before the wheel was removed and then reinstalled, and neither the cable nor the screws (H,L, or the other one) have been touched. So right now the upper pulley is very close to cassette (specifically the smallest cog on the cassette, where the chain also is right now). It is almost close enough for the pulley (well the teeth of the pulley I guess) to be engaging the same length of chain that is on the cassette. Is this incorrect? Also, out of curiosity, would there be an issue if the pulley and the cassette were engaging the same length of chain? 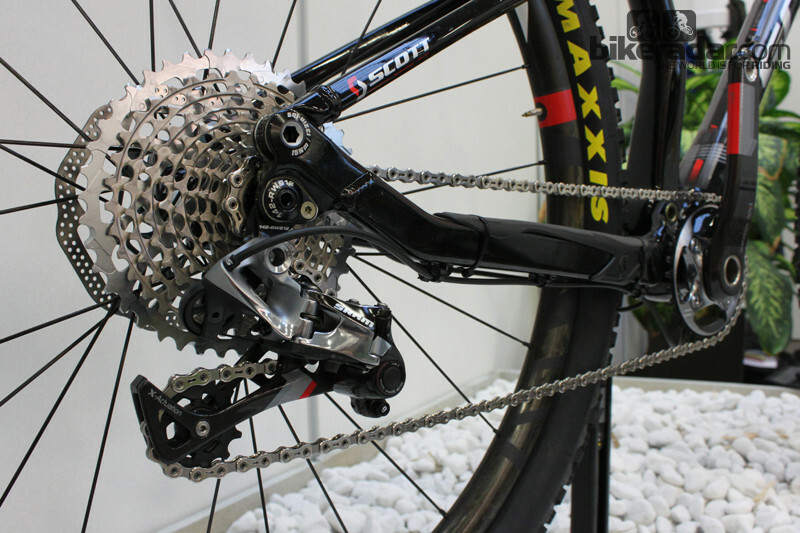 The current position of the derailleur looks a bit like in the picture below, except with the upper pulley a little closer to the small cog on the cassette. Note: I'm not riding the bike as it currently is (nor have I yet tried). I've been working on it (and am almost done, just have a bit more to do like center the wheel and lubricate some parts), but I noticed this and decided to ask, in case I did something wrong or need to adjust the derailleur. Several things coming to mind when I read this. a) If the wheel is not centred, its not sitting in the drops correctly. If its not sitting in the drop-outs correctly, the axle to derailleur mount distance and the angles of the derailleur to cassette are off. There is little point looking at derailleur adjustments unless the wheel is centred. c) The derailleur was properly adjusted before the wheel was removed.... The thing that affects the clearance of the jockey wheel is the B screw - was this changed? The first thing to do is put the wheel on straight, remove the cross loading by putting the dérailleur onto the largest rear cog, and if needed, adjust the B Screw. Not the answer you're looking for? Browse other questions tagged cassette derailleur-rear or ask your own question. Can the Tensioner Spring go Bad on a Rear Derailleur? How to find the cage length of a rear derailleur?